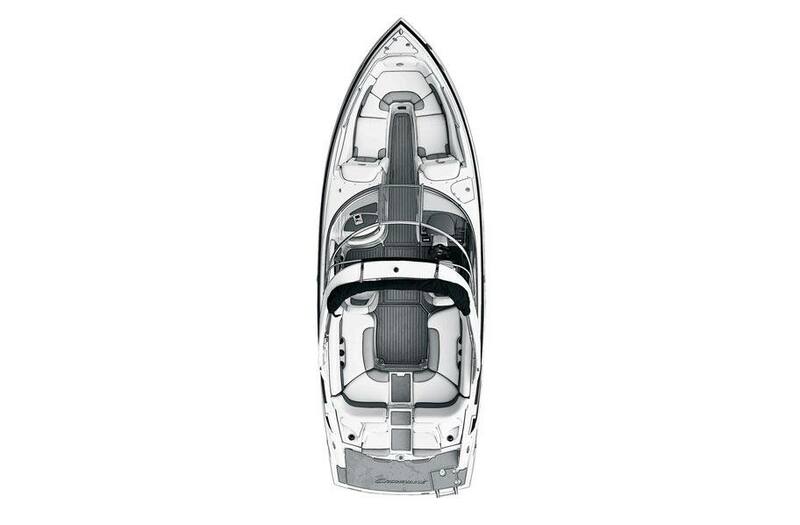 The Forte gelcoat pattern (your choice of two colors, which is standard) and stainless steel deck accents beautifully highlight this bowrider's curvaceous profile. 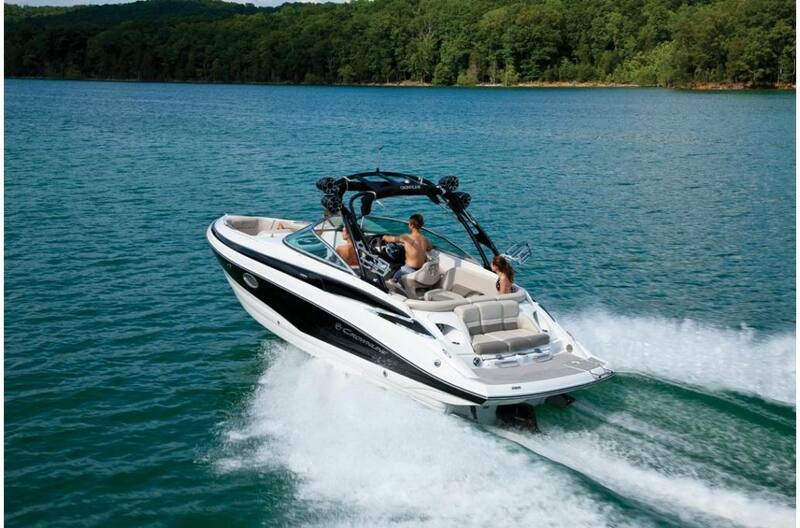 And it's built on Crownline's signature F.A.S.T. 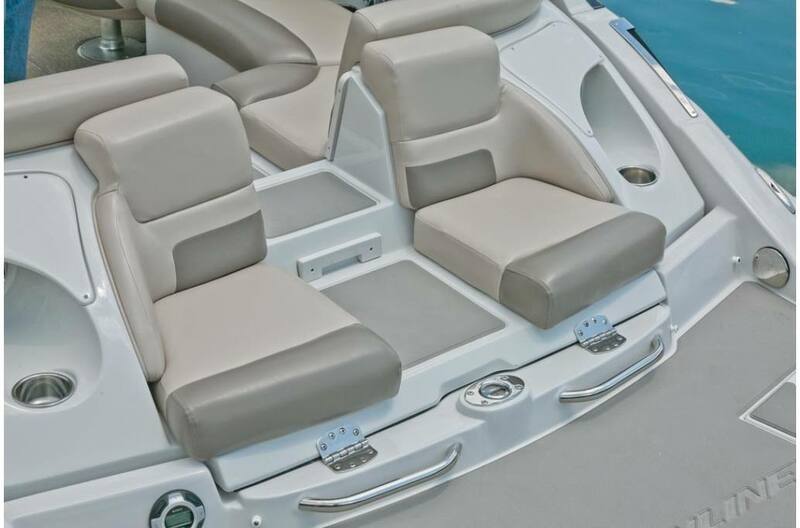 Tab® hull design which makes it even more beautiful and ensures a safe and comfortable ride by increasing planning efficiency and stability in high speed turns. 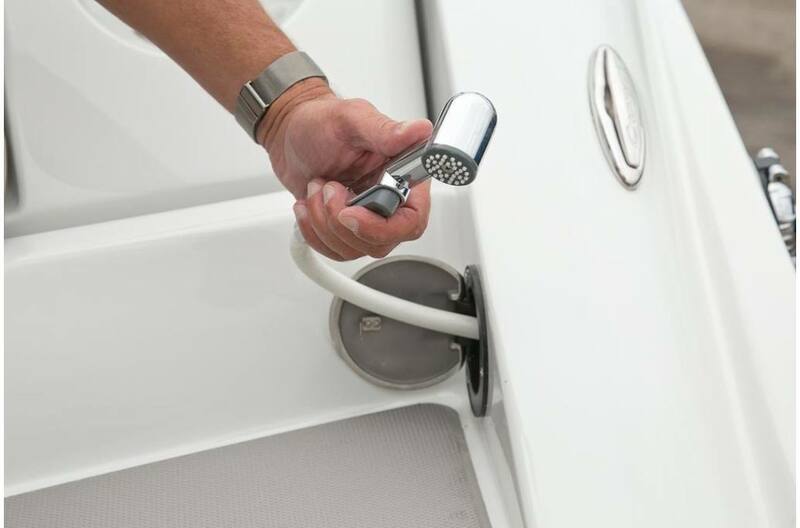 The swim platform has a standard soft touch mat and the stainless steel four-step boarding ladder makes climbing on-board easy and safe. 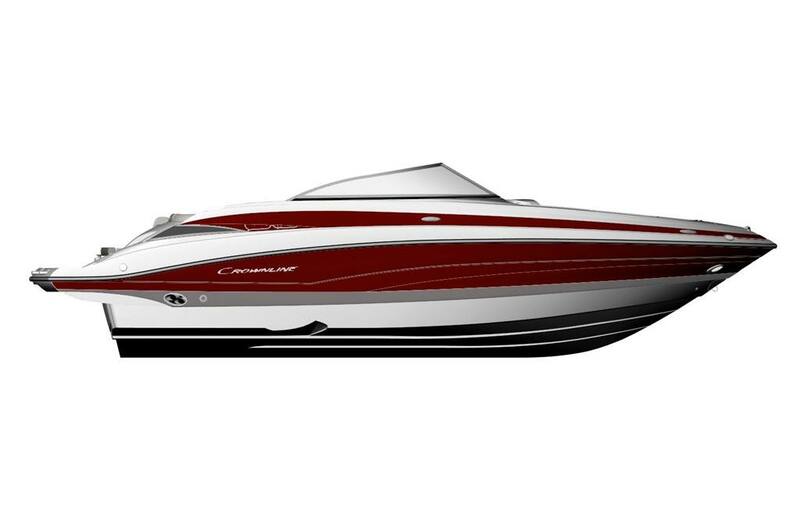 Crownline's Social Swim™ transom design features two Wet Sounds speakers (there's a total of EIGHT on this boat!!) 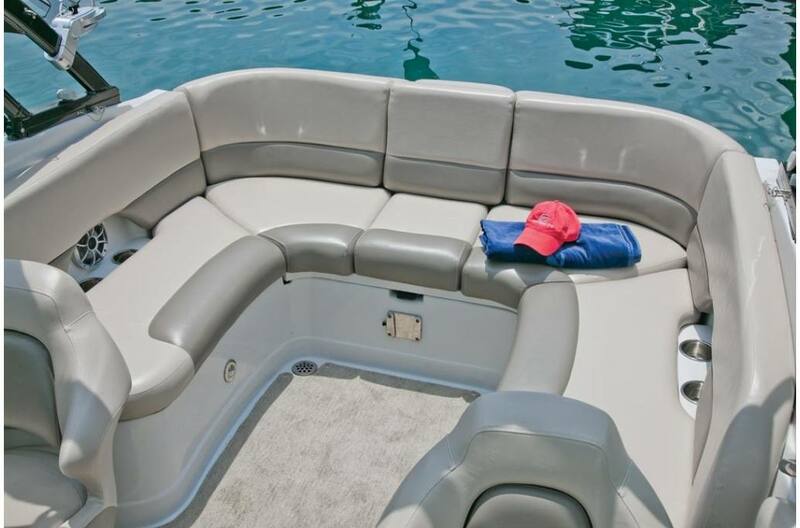 and the center entry has filler cushions so you can lounge and sunbathe to your heart's content. 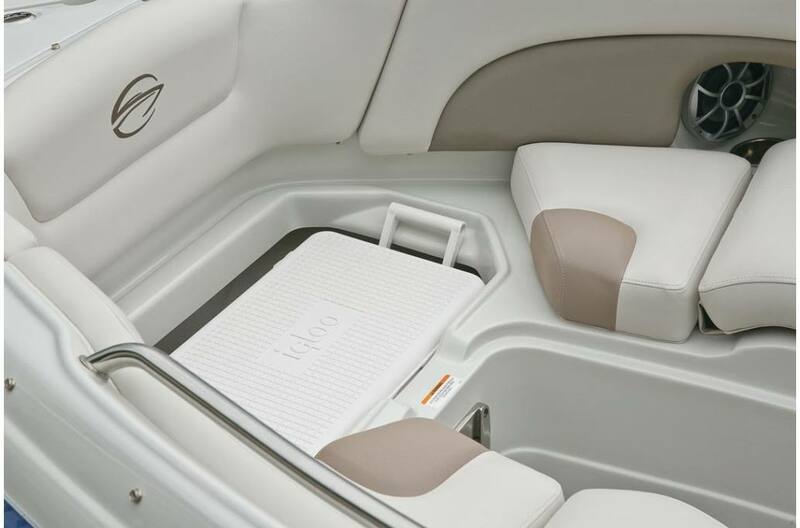 The passenger friendly and roomy U-shaped interior includes driver and passenger bucket seats that feature flip-up bolsters and stainless steel logo accents. 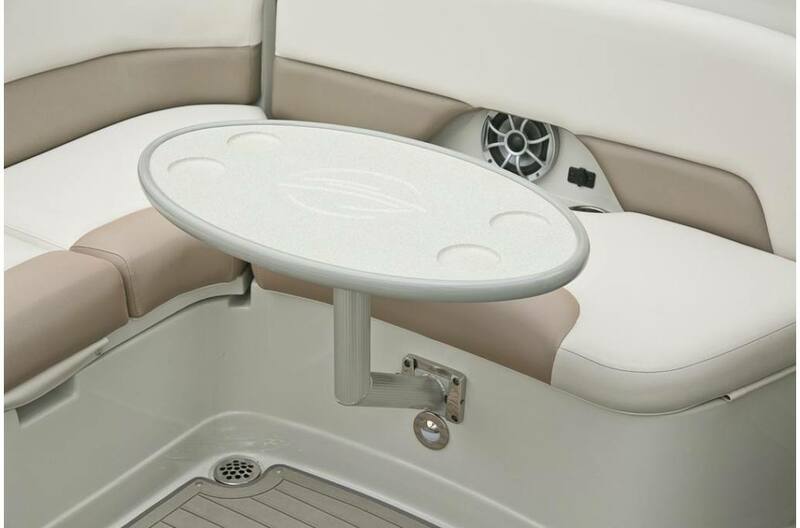 The under mount cockpit storage drawer is the perfect place to stow away the standard side mount portable table. Enter the bow area through the walk thru door, which allow more comfortable boating when the weather is a little chilly. 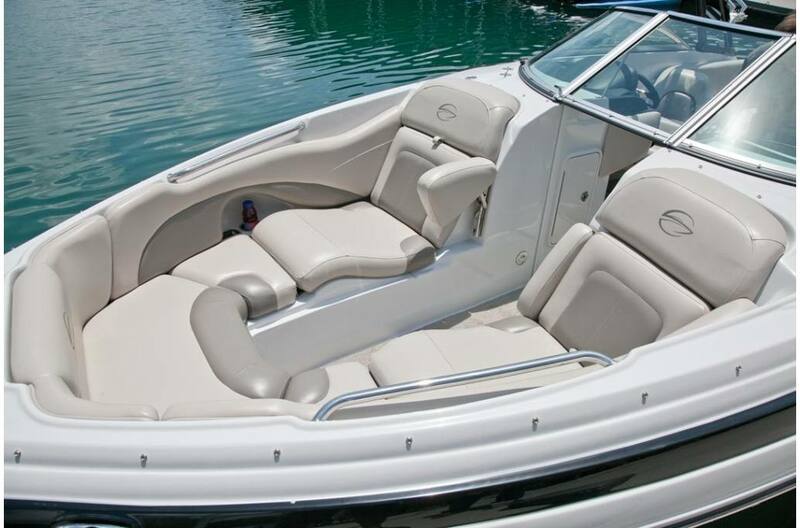 The bow seating is designed for comfort, and the flip-up arm rests are a great standard feature. 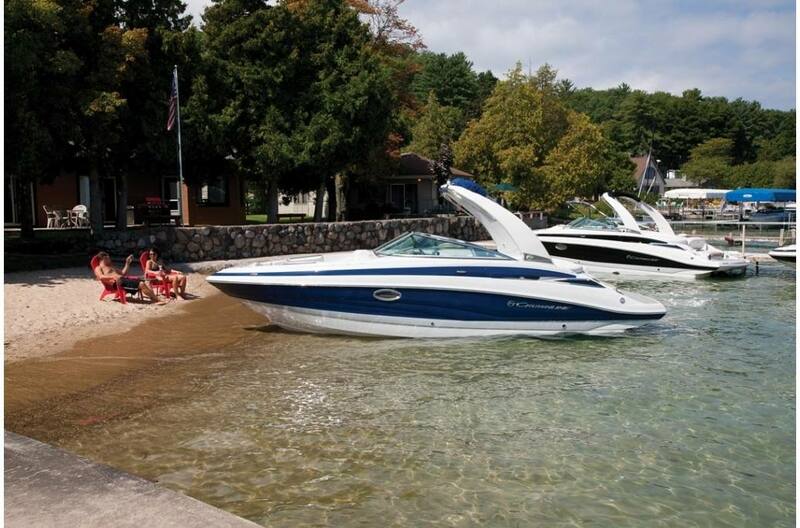 Ladies and kids will appreciate the enclosed head compartment with porta potti, handheld shower, cabinetry with sink and granite countertop and opening screened portlight window. 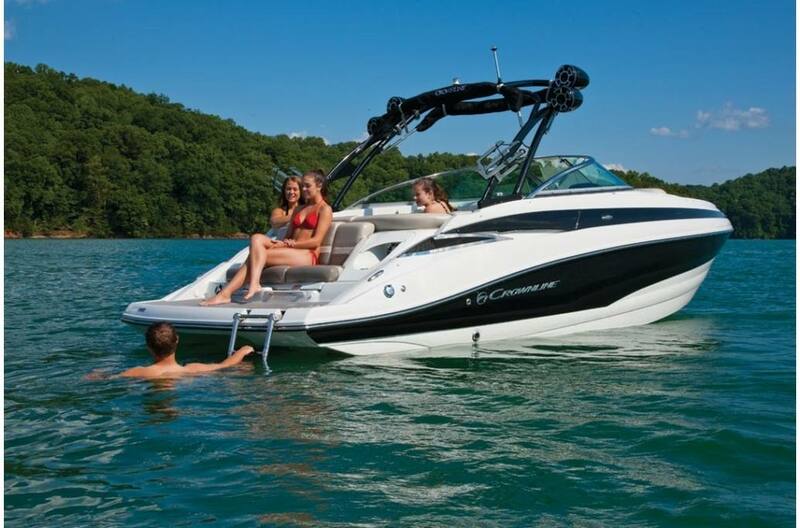 The 255 SS is a boat that your whole family will love! 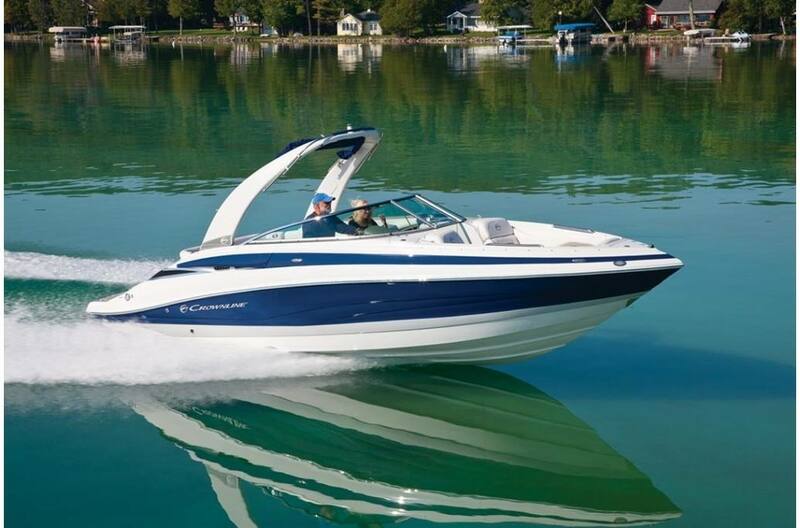 Standard features also include, a battery charger, Kicker premium stereo, electric lift engine hatch, keychain remote for courtesy lights, removable cooler, and a deluxe Heritage tandem axle trailer with LED lights, brakes on both axles and they even color-match it to you boat. Head Compartment - Enclosed with Porta Potti, Handheld Shower, Cabinetry with Sink & Granite Countertop, Light And Opening Screened Portlight Window. 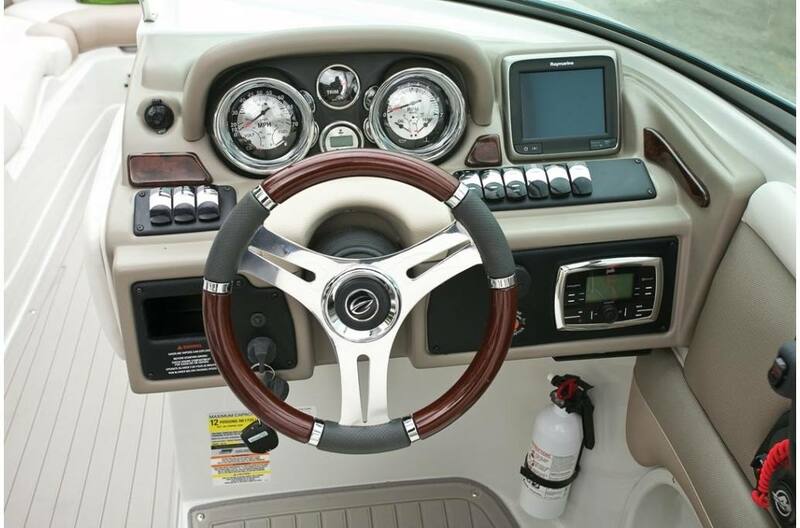 Raymarine A67 Touchscreen MFD with Gateway Cable & Engine Info.